After seeing this hundreds of times, I finally decided to mix it. I subbed out the 1% VBIC for WF Tahitian Vanilla Cream at 0.25% and LB Vanilla Ice Cream at 0.5%, and dropped the FA Fuji to 2.75%. FA Fuji gets too sharp for me above 3%, and I get disgusting pepper from VBIC. Holy hell is this a masterful mix though. Well done, man. Right off the shake it's a nice, soft, smooth and buttery spiced apple butter! Can't wait to see what it's like after a week or more! Really good. No off flavors, very smooth and well balanced. Great take on this profile. Liquid Amber does wonders with Fuji but at 4% is too much for me so I decrease to 2%. Gongrats and once again great job! This recipe has been done so well, its very often in my daily rotation, thanks for sharing! Always have some of this mixed, it’s that good. Great job! Cant get enough of this. One of my favorites. Amazing work. The FA Amber and FA Fuji combo is devine. The Amber and FA Caramel really takes the brightness from the Fuji and cooks it down. Perfect amount of CAP CDS as well, just enough to add a hint of cinnamon without being overbearing and 'dusty'. Nice use of Fuji. Spot on. You might as well make a gallon of this at a time. LOVE IT! My ADV has been Muffin Man for a LONG time. Rarely got away from it as it had "something about it" Mixed up 30ml of this and though "I think I found my replacement" Then I did another batch but bumped the Cinnamon Danish swirl up to .75 and the butter to 2.5 and im in love. I love the DCS so i may bring that up to 1 and see how that comes out. Great as a SAV but after just a few days its already getting better. Even though this is way too much Fuji for me to handle, even after a month, it's still an amazing use of Fuji and a great vape. mixed my first batch of this 4 months ago and still enjoy it today. so to add to all the previous praise i'd say this has "staying power" not many recipes i enjoy this much for this long. I can't believe I didn't pile onto this orgiastic love-fest sooner, doing the review just slipped my mind. This is a truly remarkable recipe, there needs to be way to give more than 5 stars to this one. It does need about a 5 day steep to reach perfection. And after that I can imagine it might not be a strong steeper, but I'll probably never know how long it can last because it's too good to put down. 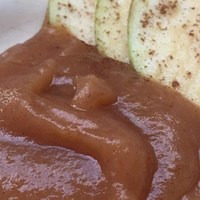 I really enjoy apple recipes because of this recipe right here. Thanks for sharing and congrats on your victory ! This is spectacular, beautifully balanced and so satisfying. Thanks for a perfect autumn/winter ADV! Amazing stuff. Doesn't last long enough to steep! Need to make bigger batches. Great recipe after the 5 day steep just great. Perfect for the fall season. Steeped it for 5 days and it is amazing. I love fuji and liquid amber together. So delicious!